Flight Lieutenant Andrew Stewart, the captain of the NH90 helicopter that helped police search teams find two missing trampers in the Tararua Ranges at 1.30am today. The New Zealand Defence Force has provided an NH90 helicopter this morning to assess weather conditions in the area and if conditions allow to help extract search teams and two trampers found early this morning in the Tararua Ranges. The NZDF had helped police search teams find the two missing trampers about 1.30am today. 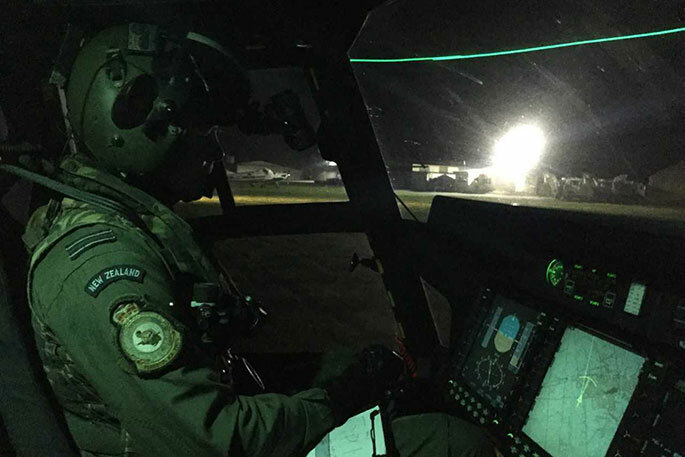 A crew from the Royal New Zealand Air Force’s No.3 Squadron battled severe turbulence and low cloud to transport three police-led search and rescue teams into the search area on an NH90 helicopter about 9pm yesterday. They also located an emergency beacon activated by the trampers, helping rescuers to find the men. “We are pleased to have helped bring a successful outcome to this search and rescue operation,” says Air Commodore Andrew Clark, the Air Component Commander. The men had gone tramping in the Tararuas on Saturday. 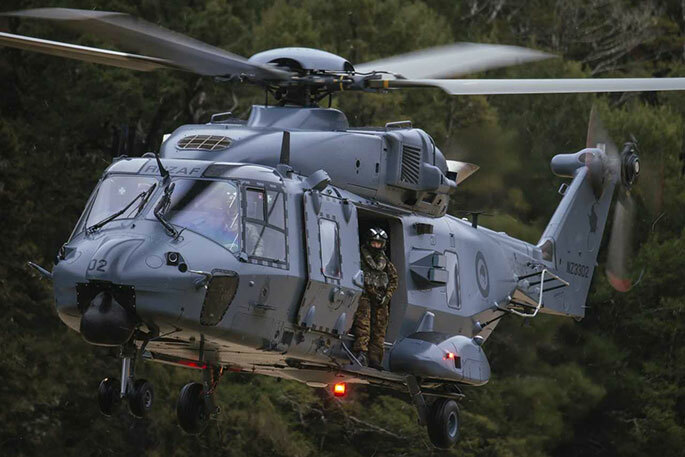 The New Zealand Defence Force deployed a Royal New Zealand Air Force NH90 helicopter on Monday night to help police search teams find two missing trampers in the Tararua Ranges.